The garden has no end of creepy crawlies. 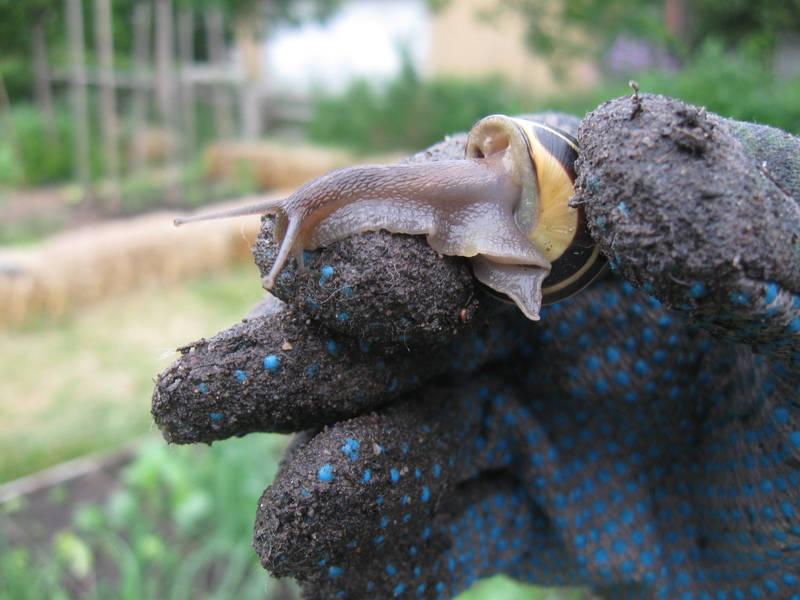 There are the usual suspects you expect every year – slugs, snails, earwigs, ants, earthworms – some of which are helpful, even beloved (I’m thinking about the earthworm), while others do no end of damage when you’re not looking. We’ve had problems in the gardens this year with aphids and leafminers. When I bought my tomato plants, little green bugs that I suspected were aphids were hiding under the leaves and on the stem! I spent the bus and train ride home obliterating the little buggers with my fingers to ensure that I wouldn’t put them into the garden infected. That could have been disastrous! 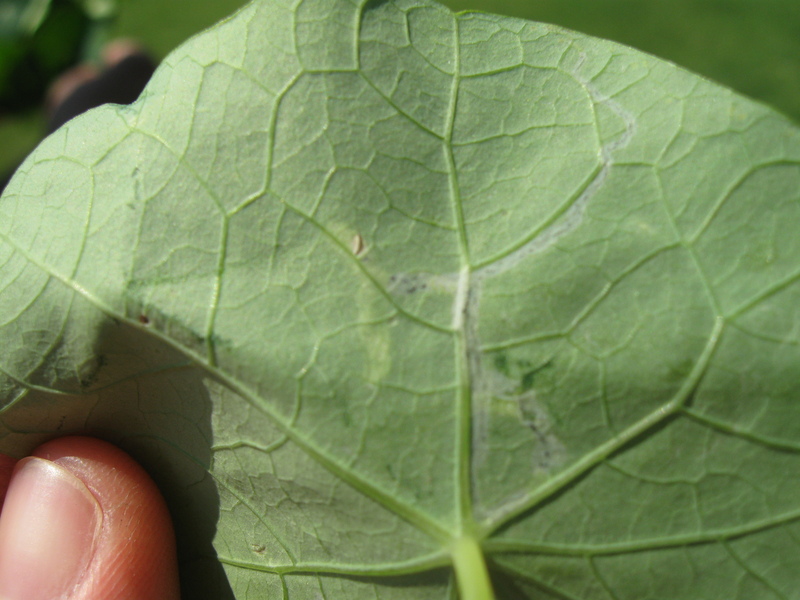 I’ve read that the least toxic and best method of controlling leafminers is to remove the affected leaves. Not a big deal. It took a while before I could see improvement in my plants but they improved. After our most recent community gardening day, where we work on the community areas of the garden group, I was tending my garden and talking with another gardener named Michael. He was able to tell me what was affecting my plants, which helped me determine that the blotches were leafminer damage and not sun damage from watering the leaves as I’d thought or potentially some other kind of disease. For his help, I gave him one of my many onions. On Sunday June 3rd, while I’d gone on a washroom break, my brother came across the creepiest critter: a long, thin, white worm! Horrific and disturbing! Needless to say we rushed home in search of info on this awful creature. 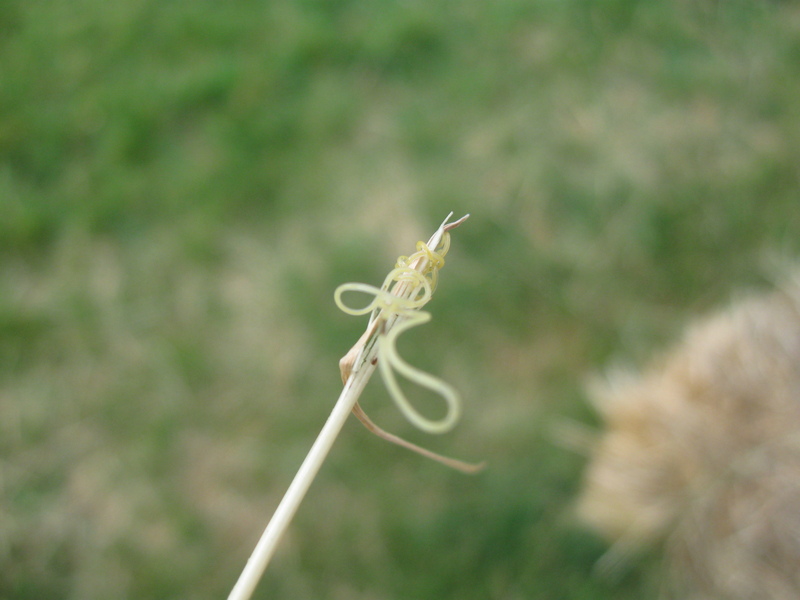 Turns out it was a horsehair worm, a cricket and grasshopper parasite. Completely harmless to humans (pfew!). My brother recorded a video, but since I haven’t enabled video in this blog, you can check out the Cricket infected with parasitic worm video on Youtube to get the full effect of the damage this little guy can do to its hosts. 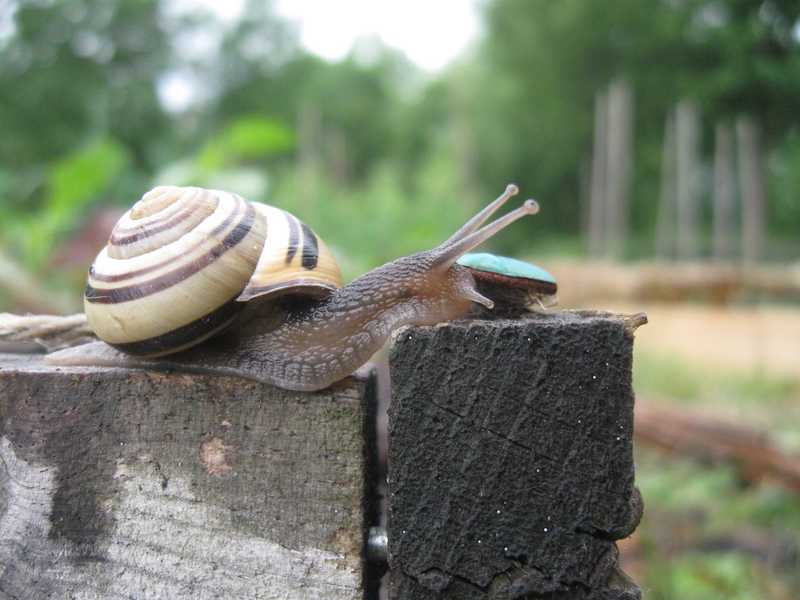 After that horrific encounter with the horsehair worm, I become fascinated by this awesome snail exploring the garden. So amazing – the colours and symmetry of the shell, the different textures (hard shell, soft body), his antennae (where my brother tells me his eyes are)… still, he would only do damage so I had to remove him. My brother said pick him up with my bare hands. Yeah, right. 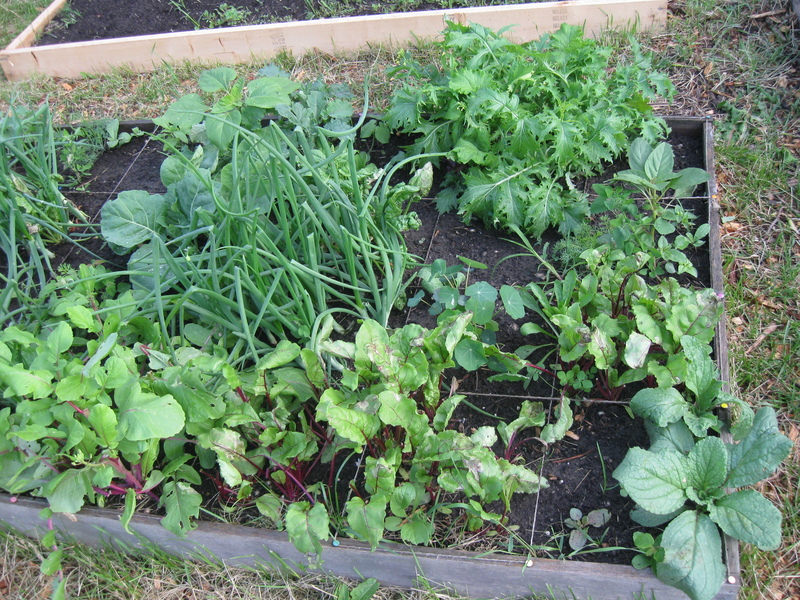 My garden is always overcrowded because I’m too lazy and nervous about thinning out the weaker plants. What if I pick out the strongest one by accident? Or pick out a plant instead of a weed? My brother also likes to go with the “let’s just see what happens” method of gardening. Well, I’ve learned that this practice can lead to disease as well as overgrowth of weeds that can choke out other plants so I’ve had to learn how to practice tough love. 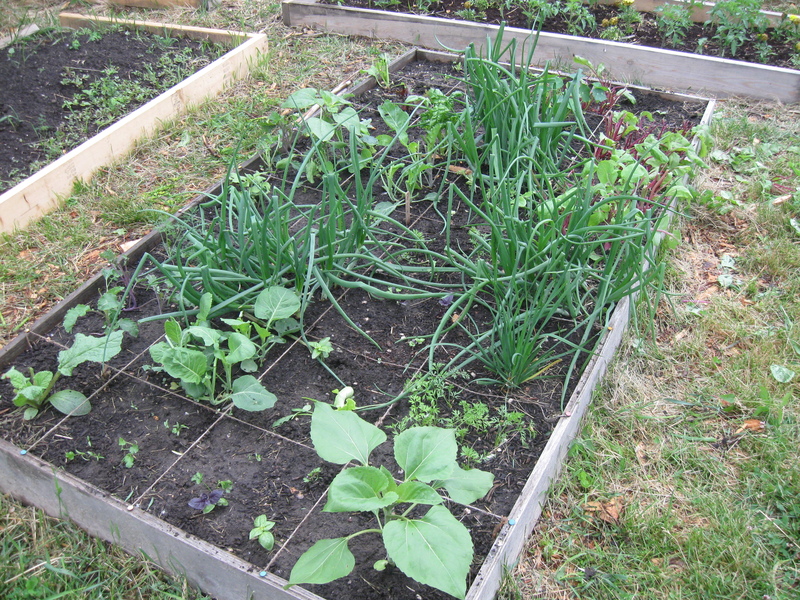 I can always replant more seeds if I pulled up something I shouldn’t have. Tough love!